West Virginia is a very old country. Burial mounds from prehistoric man are scattered throughout the state, especially in Moundsville, Charleston and Romney. A 2010 analysis revealed that native Americans were burning forest to clear land to grow tobacco, maise (corn), gourds and squash as early as 100BC. 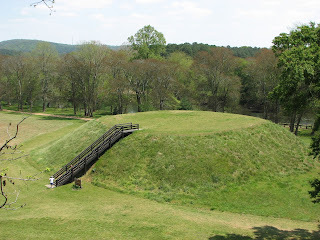 In the 1670's the IROQUOIS Indians drove the other Indian tribes out of the West Virginia region, including the game rich, broad river valleys. Deadly war existed between the Indian and the white man until the Battle Of Point Pleasant, on October 10, 1774 with the white man winning and continued on into the three sevens war, 1777. In 1939 the U. S. Congress decreed, incorrectly, that the Battle of Point Pleasant was the first battle of the American Revolutionary War . Originally Virginia, the two different parts of the state varied greatly. Independant minded mountain folk settled in the west while in the east the society was entrenched aristocratic, slave holders. The mountaineers unsuccessfully tried to form a separate state in 1769. When Virginia seceded from the union and joined the Confederacy in the Civil War, the mountaineers were divided about 50-50 with 25,000 fighting for the north and 25,000 fighting for the south. (My great grand father, Indivan Pierce, volunteered for the north). 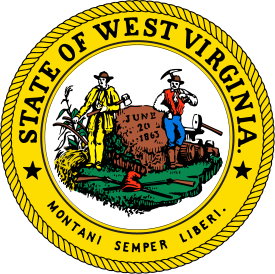 At the Wheeling Convention in 1861, delegates again asked to be separated from Virginia and on June 20th, 1863 West Virginia became the 35th state, which was first called Kanawha. 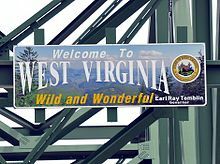 Of the 50 states today, West Virginia is 41st in area and 38th in population and is classified as part of the south. With only 1% foreign born, West Virginia is the lowest and only 2.7% speak a foreign language in the home. The population has declined from a high of 2,005,552 in 1950 to only 1,890,326 in 2014. West Virginia is the only state today where the death rate exceeds the birth rate. Sixty percent more people are moving out of the state than moving in. The states education system ranks 47th out of 50 and Charleston leads the nation in divorces. I am a native son of West Virginia! I have traveled throughout the world and lived my adult life in northeast Ohio. But, West Virginia is my home! When I make my final trip home it will be to reside throughout eternity between my Mom and Dad and my sister, Victoria. I enjoyed the West Virginia history lesson! I never get tired of reading about it. The hillbilly language I can identify with so well.